Ah ... the Midwest. It's hot. Then it's cold. 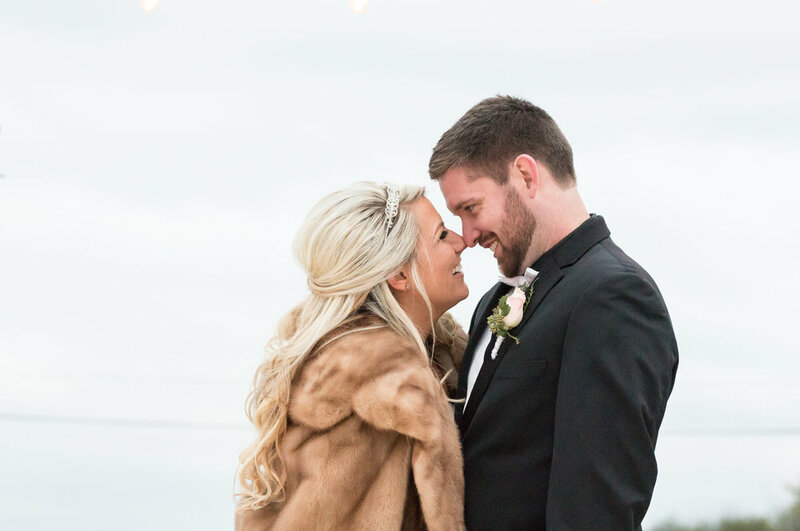 And this time, it was cold on the wedding day of a fabulous young St. Louis couple, Jessica and Kurtis! 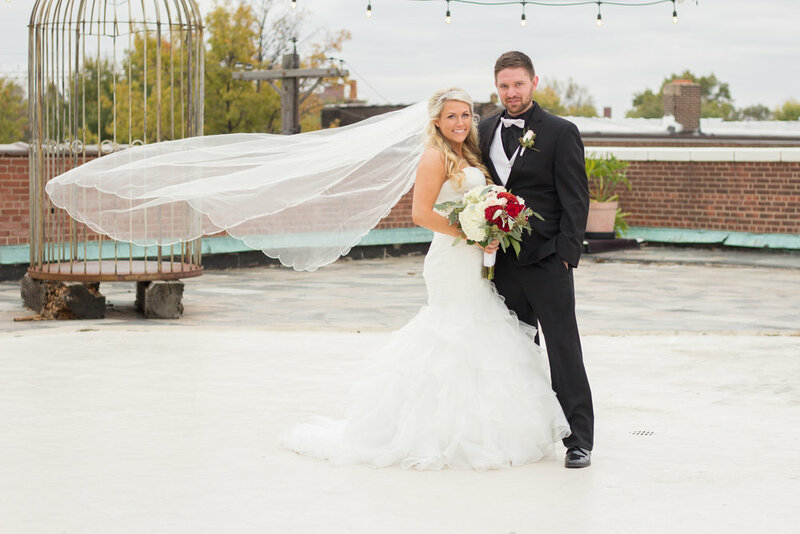 They were planning to tie the knot on a popular rooftop of a renovated art-deco building in the heart of St. Louis. A quick history ... General Motors Corporation purchased the property in 1920 to build St. Louis main Chevrolet dealership. Fast forward to 2002, and renovation begins to restore the building to it's original state. Fun fact: 95% of the materials used to create the rooftop space are recycled, and most of it picked up from trash/dumpsters from the area, including granite, stone, metal, bar equipment, tables, chairs, etc. How cool is that? Needless to say, the ceremony ended up being indoors due to cold temperatures, but it was still gorgeous! Being a part of this wedding was a blast. 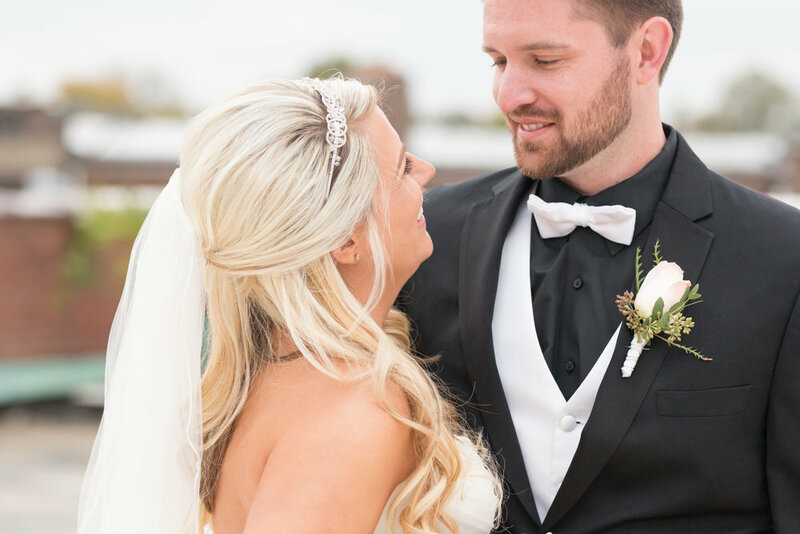 But getting to know the Bride and Groom, Jessica and Kurtis, was a special pleasure. One of the best things about being a wedding photographer is learning about the special couple you are photographing. You learn their story. You pick up on how much they love each other. What things make them grin or embarrassed. What things make them shy. 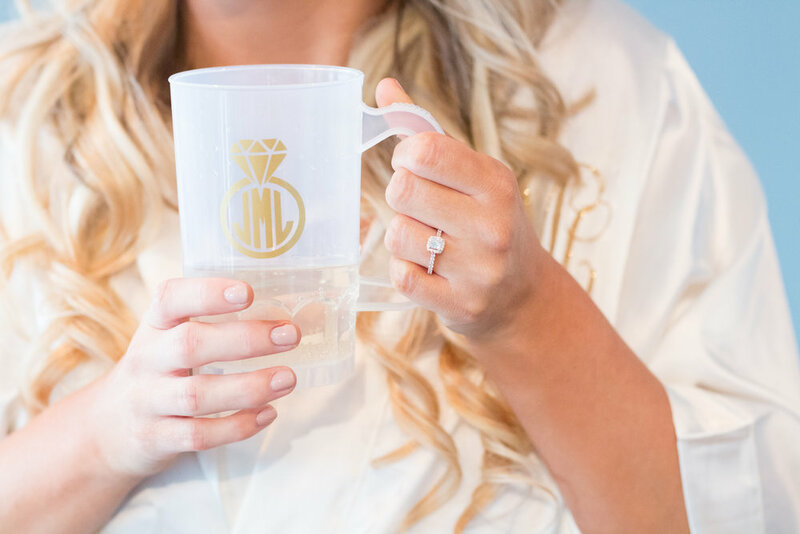 And you also learn behind-the-scene notes on items/ideas that are incorporated into the wedding and the sentimental meaning they hold dearly to the most important people of the day. We especially loved the blue heart stitched by Jessica's mother, Jane, into the back of her wedding dress, and the table display in memory of Jessica's father. 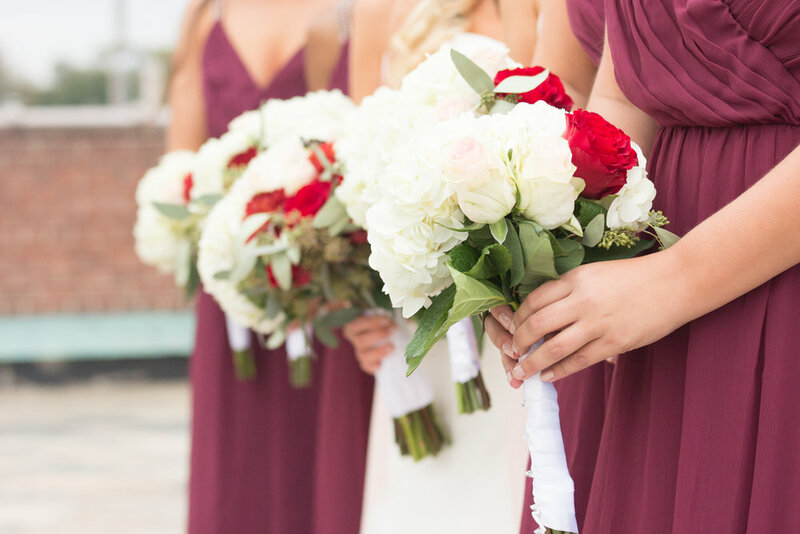 Jessica and Kurtis created an extra level of specialness to their wedding day. And let’s be honest, both of us had several teary-eyed moments throughout the day as we were looking through our cameras. 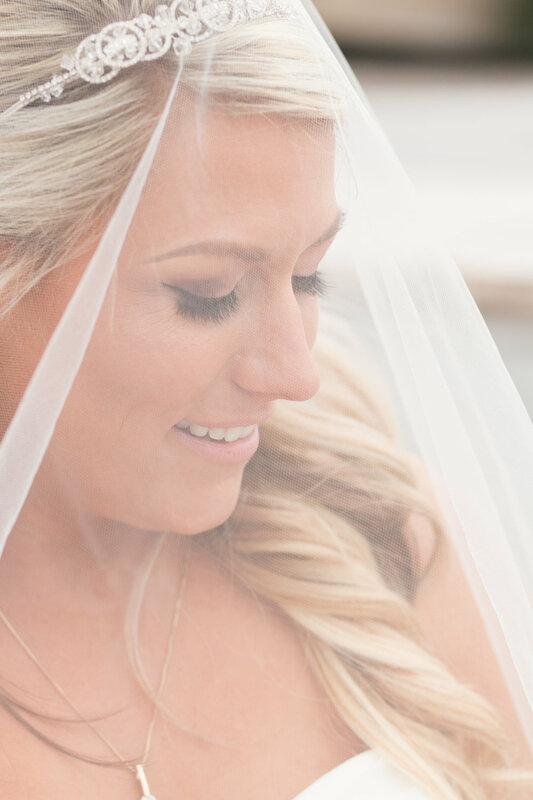 As you can see, Jessica truly glowed on her wedding day! She was absolutely stunning! Even Kurtis couldn't resist smiling nonstop even though he was burnt out on taking pictures!! (Good hangin' in there, trooper!) Their reception was lovely too, and the toasts included a very special gift from the bride's mother. 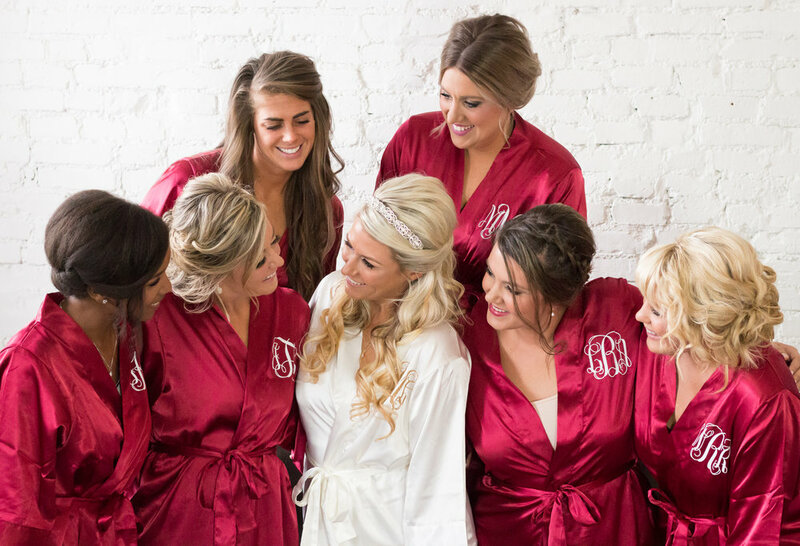 As we've said before, the moody Midwest weather doesn't always like to play nice ... but that didn't stop our amazing bridal party from getting stellar images!! Such a lovely, eclectic venue that we hope to visit again soon! It is a pleasure knowing you, Kurtis & Jessica, and we hope to stay in touch through the future!! We hope you have a WONDERFUL honeymoon!! Newer PostRyan's Class of 2018 Senior Portraits! Older PostHenry's 7 1/2 Month Portrait Session at Cliff Cave County Park!